The Airbus A350-1000 configuration of Qatar Airways has been officially disclosed today by Australian Business Traveler magazine stating that the aircraft will seat 327 passengers in a two class layout. The cabin break down shall see 46 business class Q Suite seats + 281 in economy. 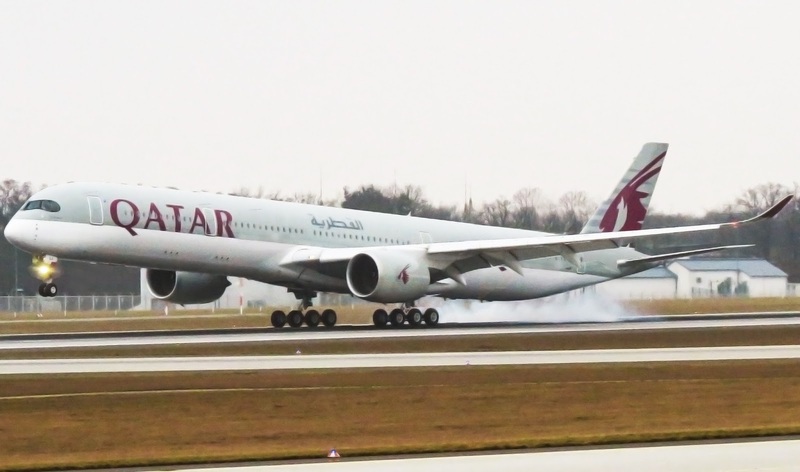 In total, QR ordered 37 A351s from Airbus. The configuration chosen is a good one as it only has 8 less seats than its B77Ws but operational cost wise it is cheaper to fly by a decent margin. One would deploy the first 2.5 A351s to JFK (QR 701/702) daily replacing the B77W currently flown on this particular rotation as that would enable JFK to become a double daily A350 service as QR 703/704 is already flown by an A359. In this manner, it is easier for crew rostering to also plan accordingly for this sector. 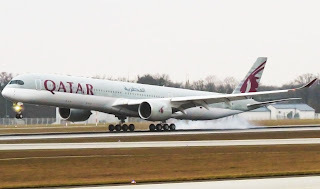 The next 2.5 aircraft, one would use to replace the current B77W on DOH-IAD which is flown daily followed by 1 A351 to replace the B77W on 3 weekly DOH-YUL. So in total the first 6 A351s could be used on daily JFK + daily IAD + 3 weekly YUL. The B77Ws coming out of these 3 markets, can be used to replace the gas guzzling 4 A346s from the fleet entirely which would be an additional cost saving. Unfortunately, there is no chance that the A351 would be able to operate DOH-MIA in any season. As far as having a separate high density configuration is concerned (like they have on their B77W fleet), the A351 with 24J class seats would likely seat 370 pax in a 2 class HD layout versus 380 on their current B77W (HD). This aircraft configuration (370 seater A351) is ideal for CMB, CGK, BKK and MNL etc.